In spite of the difficult obstacles she has confronted in her life, María Celeste Arrarás has been able to move forward and triumph against all odds as a woman, a mother, and a professional. 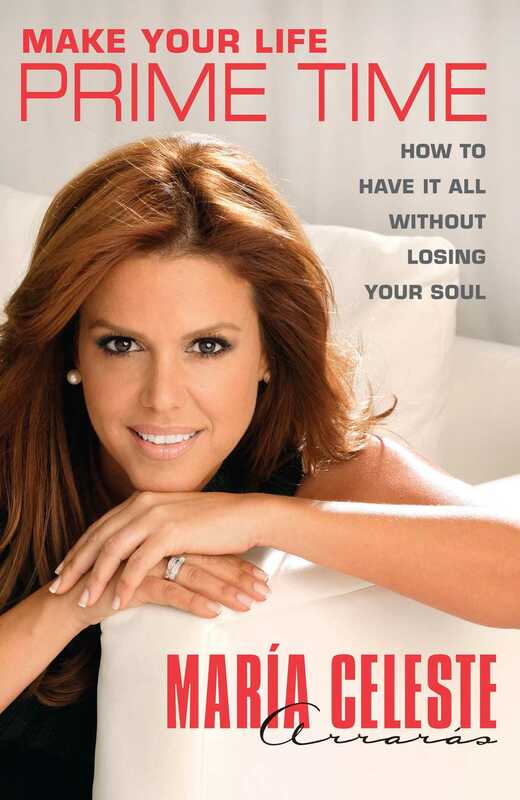 Through a series of autobiographical anecdotes, María shares with her fans the formula to achieve fame, fortune, and emotional fulfillment, all at the same time. María tells of the lessons she learned from her parents’ divorce, the adoption of one of her sons in Russia and the abuse that her other son suffered at the hands of a nanny. She talks about the betrayal of her unfaithful husband and making peace with the “other woman.” And she reveals how her personal assistant stole her identity and thousands of dollars in the midst of her divorce. Make Your Life Prime Time is funny and moving, inspiring and powerful. It’s a lesson on the power of forgiveness and the importance of striving for excellence.